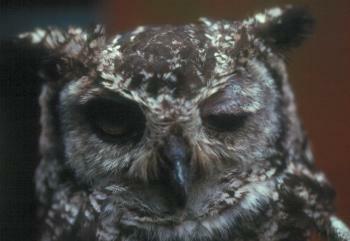 The African Eagle Owl has a persistent ptosis (lowered eyelid). What might cause this and what diagnostic test could you use to confirm your diagnosis? This entry was posted in Cases and tagged bird, Horners syndrome. Bookmark the permalink.